For over 110 years, W.F. Hann & Sons has been delivering reliable, commercial AC repair, AC installation and AC service work residents and businesses throughout Cleveland and Northeast Ohio. We have a conscientious team of experts who will make sure that your new AC installation is functioning properly and entirely operational. Furthermore, W.F. 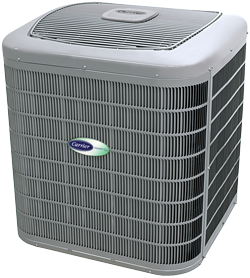 Hann & Sons endeavors to always reduce our clients’ future operational and ownership costs of AC repair work, any additional AC installation requirements and all AC service. When our Highland Heights neighbors require AC repair, AC installation or any manner of AC service, W.F. Hann & Sons is the only name they need to know. Highland Heights, Ohio is in Cuyahoga County with over 8,000 residents. W.F. Hann & Sons is conveniently located at 26401 Miles Road, Warrensville Heights, slightly over 11 miles south of Highland Heights. When Highland Heights customers need an upgrade, AC repair, new AC installation or AC service, they consult with our NATE (North American Technician Excellence) technicians. NATE specialists have the talent and expertise to solve all manners of AC repair problems. W.F. Hann & Sons also aims to save Highland Heights homeowners and businesses time, energy and money. In addition, we are committed to providing a cleaner and healthier environment, as well. This is the reason our Highland Heights neighbors understand that not only will we meet their expectations, but we will most likely surpass them. When clients face cooling issues, it’s time they reach out to W.F. Hann & Sons for the most dependable AC installation and AC repair work provided by their licensed and certified AC service professionals. Our customers know that ignoring air conditioning problems can result in greater operational costs, extensive damage and potential health problems. We will conduct the necessary AC repair work that can be counted on to endure over time, inclement weather events and usage. Our clientele is assured of always receiving the best possible product efficiency, comfort and value to which they are entitled. Furthermore, W.F. Hann & Sons’ customers will handle all aspects of your AC repair and AC installation with the utmost of attention to details from using drop cloths and foot coverings to protect your property in addition to respecting and accommodating your busy schedule. For the quality AC repair workmanship, AC installation or AC service for which W.F. Hann & Sons is famous, call us, today, at: (216) 831-4200. We also provide 24/7 emergency services for those unscheduled and unforeseen issues which necessitate the experience of our extremely capable technicians.